Wyoming Poker – Is Online Poker Legal in Wyoming? Things are pretty straightforward when it comes to playing poker in Wyoming. You have options. And that’s more than what players in states like Virginia can say. Read on to find out what those options are. And the rules …so that you don’t get slapped with a misdemeanor or find yourself (as much as) $750 poorer. So, you want to make sure that you’re not profiting from the game (except for any money you might win from the other players). That means no raking the pot, charging an entry fee and/or charging people for food and beverages. Basically – don’t try to run a (gambling) business and you should be okay. 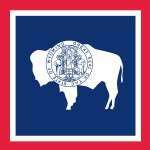 Wyoming doesn’t cover or exempt online poker. That makes it illegal. That said – you can sign up to most offshore sites that still accept US customers. I suggest choosing a legit site or two and keeping the least amount of money in each. Another way you can go is casino poker. There are no commercial or state owned casinos in Wyoming – only tribal casinos. Wind River Casino – They offer $20 tournaments with re-buys and their ‘Diamond in the Rockies’ tourney with $1,000 added. Little Wind Casino – They don’t have a website. Shoshone Rose Casino – They don’t share what games they offer. The gambling age is 18+ since alcohol isn’t served in casinos. That’s pretty cool since most states/casinos do, which means you have to be 21+ to play poker. Does The Future Look Any Different? Experts suggest we’ll see regulation as soon as 2018 or 2019. But seeing that Wyoming has nothing on the table – one way or the other – I don’t necessarily agree with that. From what I’ve seen and read it doesn’t sound like anyone in the state has plans to legalize online poker in the future, either. Between that and how few brick and mortar casinos are in the state now, I just don’t see it happening. Even if it did, Wyoming is the least populated states in the country. Even (legal) states like Nevada, New Jersey and Delaware had missed their initial projections before they were ultimately approved by their respective state legislatures. So, even if Wyoming did decide to regulate online poker, chances are they’d wait until they made an agreement to work with other states to share player pools / revenue. Otherwise it’d be pointless. I guess only time will tell. But I wouldn’t hold your breath.